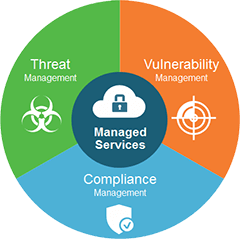 Secur’s Managed Security Services deliver the highest level of protective outsourced solutions, to defend your Information System over its lifecycle. From design to operational management, our trusted and globally recognised expertise provides in-house monitoring or 24/7 Security Operations Center (CSOC) to secure infrastructures, utilising the best and most current technology. Each infrastructure and security solution is unique. Our global presence and distinguished client base make Thales a leading provider in securing critical networks efficiently and effectively with the highest level of reliance in any given field. Profound security analysis: Each mission starts with analysis and recommendations to determine how to increase your security before implementing services that bring you measurable value. Security Operations Centres (CSOC): Our experts ensure security information and event management 24 hours a day, 365 days a year from our CSOC’s. The CERT-IST: Ensures permanent security intelligence and keeps you informed in real-time about any vulnerability that can impact you systems. Flexible, turnkey solutions: Our modular products offer can be adapted to your particular needs and interfaced with existing IS, regardless of their size, to provide a scalable solution. The highest risk management standards: Our service centres are certified ISO 20000 and fulfil the standards recommended by the ISO 2700x principles.